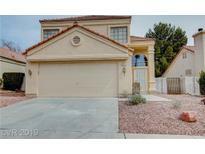 Below you can view all the homes for sale in the Carmel Point subdivision located in Las Vegas Nevada. Listings in Carmel Point are updated daily from data we receive from the Las Vegas multiple listing service. To learn more about any of these homes or to receive custom notifications when a new property is listed for sale in Carmel Point, give us a call at 702-323-5933. 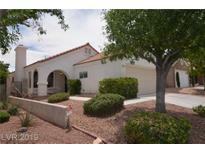 6ft deep heated pool with built in Jacuzzi.3rd Bedroom can be used as an Office/Den MLS#2088735. BHHS Nevada Properties. Nice Custom Metallic Stair Rails. Vaulted Ceiling. 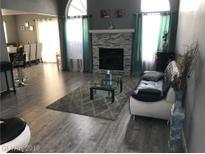 MLS#2086366. IHOME Realty LLC. Located at The Lakes, this affluent lush community features a 2 mile man made lake, dining, fine wine with lakes views, shopping, walking trails MLS#2080220. Compass Realty & Management, L.
Home comes with a 30-day buyback guarantee. Terms and conditions apply. MLS#2077671. Opendoor Brokerage LLC. Located near schools, shopping, dining & entertainment. MLS#2074196. Black & Cherry Real Estate. This house will truly not last long! MLS#2074498. Keller Williams Southern Nevada. Stunning 2-story Home In "the Lakes" * 3 Beds * 2.5 Baths * 2-car Garage * Bright, Open Floor Plan * Vaulted Ceiling In Living Room * Separate Family Room W/ Gas Fireplace * Formal Dining Area * Granite Counter Tops, Black & Stainless Steel Appliances W/ Breakfast Bar & Nook In Kitchen * Refrigerator Included * Wood Flooring On 1st Floor * Carpet Flooring On 2nd Floor * Lg, Private Backyard W/ Lattice-style Covered Patio * This Is A Must See! MLS#2050313. Southwestern Management and Re.